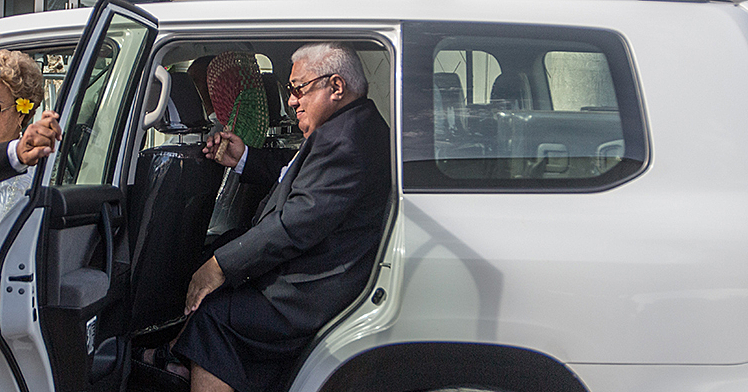 The Ministry of Revenue and an Australian aviation company are in a tussle over the ownership of a multimillion-tala helicopter the Customs had planned to auction. 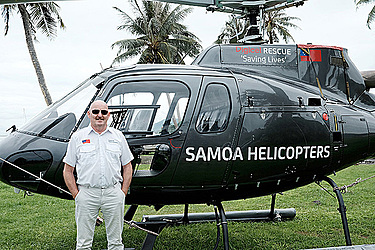 The helicopter made headlines in Samoa in early 2016 when the newly incorporated firm back then, Samoa Helicopters Company, won the backing of the Government to set up Samoa’s first medical evacuation and search and rescue operation. 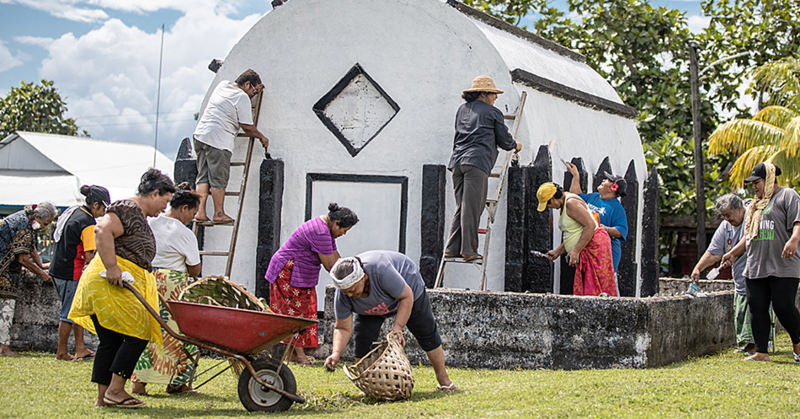 But the project went bust six months later, with their Office in Apia shut and Company Founder and Principal Rodger McCutcheon, leaving town. 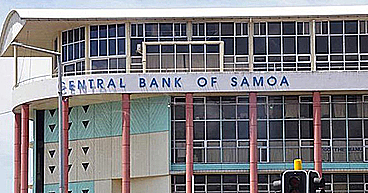 Early this month, the Ministry of Revenue advised of the “public auction sale of helicopter” in a public notice published in the 2 September 2018 edition of the Samoa Observer. The auction was set for 15 September 2018 for a helicopter - Model AS350VA manufactured in 1981 – with the minimum bidding price set at $60,000 tala. All interested bidders had to register with the Ministry of Revenue prior to the auction date and the successful bidder had two hours after the close of auction to remove the aircraft. But in a new twist to the story, there is opposition to the planned auction with Australian pilot Michael van der Zypp – who previously worked with Mr. McCutcheon in Tonga, where they also coincidentally launched a helicopter-based medical evacuation and search and rescue operation – telling the Samoa Observer yesterday that he has tried unsuccessfully over the last two years to get the Government to release his company’s helicopter. The Samoa Observer contacted the Ministry yesterday for comment, in relation to Mr. Zypp’s ownership claim and his opposition to the auction. The reporter was referred to the C.E.O. Avalisa Viali Fautuaalii, who said they would issue a statement outlining the Ministry of Revenue’s position. This newspaper had yet to get the statement last night by the time this edition went to press. Speaking to the Samoa Observer yesterday from America, Mr. van der Zypp said the Australian-based company, Helicopter Group, owns the helicopter that is registered as VH-VWA on the Australian Aircraft Registry. “It has now been two years and we have tried unsuccessfully to have it moved. It needs to come back to Australia to be re-serviced, I am not sure if it (helicopter) can be flown again,” he said. However, the auction that the Ministry of Revenue scheduled for September 15, which it then deferred to September 22, has now been put off until further notice. The Ministry, in another public notice dated September 10, 2018 advised that the indefinite deferral gives “those who have an interest in the helicopter”, to write formally to the Controller of Customs to request that the seizure of the aircraft is reconsidered. Parties who wish to submit letters of seizure reconsideration have until October 5, 2018. It is understood Mr. van der Zypp intends to travel to Samoa to put forward his case and is in touch with a local legal representative. The helicopter according to aviation enthusiasts will go for about US$750,000 on the open market. Mr McCutcheon, who now resides in New Zealand, did not respond to questions sent by this newspaper to his social media account.